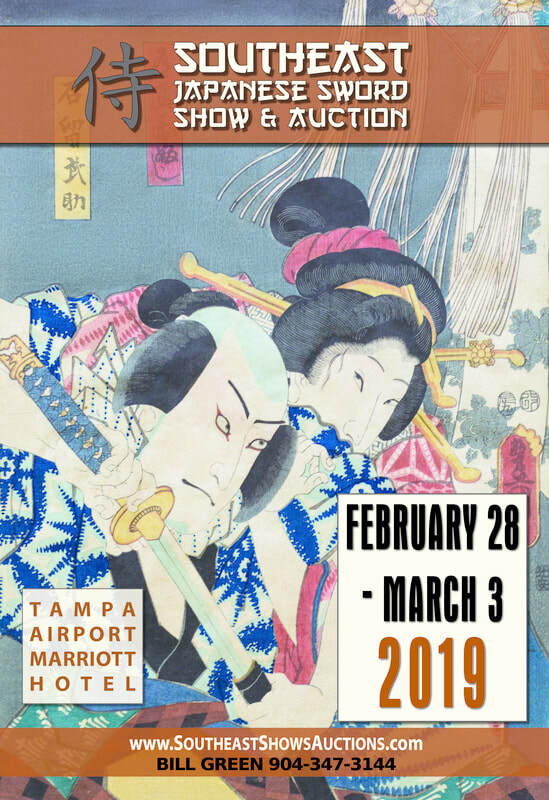 This March 2019, the NTHK Shinsa team from Japan will be conducting a professional appraisals for swords and fittings. Shinsa team head, director of the NTHK, curator of swords for the Japanese Imperial Household Agency, the Shosoin Imperial Repository and the Seikado Museum collection. 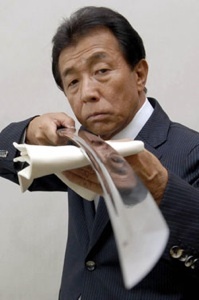 Head of the Yoshikawa school of sword polishing and polisher to the Imperial Household. A team of experts from the日本刀剣保存会 (Nihon Token Hozon Kai) of Tokyo, Japan will be lead by Mr. Yoshikawa Eiichi, the son of the late Kentaro Yoshikawa, and like his father, curator of swords for the Japanese Imperial Household Agency, the Shosoin Imperial Repository, the Seikado museum collection and polisher for the Japanese Imperial Household. Swords and fittings will be examined by the team and certificates of authentication issued. There are only a limited number of Shinsa slots possible per day. SHINSA SPOTS MAY BE AVAILABLE AT THE EVEN, PLEASE STOP BY AND ASK US! The SHINSA appraisals are totally decided upon by the “Nihon Token Hozon Kai Team”, lead by Eiichi Yoshikawa. The Role of “Nihonto Antiques LLC.” is only to help facilitate the fees and organizing the shinsa and to help bring this special need to collectors. The Q & A sessions will allow anyone who has submitted a piece to the Shinsa to discuss the results with the Shinsa team. There are only a limited number of Shinsa slots possible per day. Prior prepaid reservations are necessary to hold a Shinsa slot. While it may be possible to submit at the door, it is unlikely since we generally sell out the slots. SHINSA SPOTS ARE STILL AVAILABLE! Complete the form and send to address below. To pay PayPal please send total to shinsa@nihontoantiques.com then you can mail the Registration Form. The submittal fee is not refundable except under exceptional circumstances and totally at our discretion. Please include your preference for day and time-slot. Notice of assigned slots will be sent out to you (if you do not receive a slot for whatever reason, just let us know). Note: the additional fees must be paid at the time of the Shinsa for all items that pass. We will only accept cash at the shinsa. The cost for each item that passes is $150.00. Checks should be payable to ‘Nihonto Antiques LLC’. Shinsa submission fee $100.00 and another $150.00 if sword passes. Our fee is $150 (shipping back to owner is not included) On shipping: we will return items back as they were shipped to us. Please add the cost for return shipping to the total below. We generally ask clients to address the package to Moses Becerra and not Nihonto Antiques LLC to not attract attention. Mail in deadline is 2/20/19 (we would need your item in hand by that date). When shipping swords we only need the blades wrapped in plastic wrap and then wrapped in newspaper. Please be carful to protect the tip of the sword with proper packaging to avoid damage during shipping. If you wish to ship in saya thats ok also. Shipping Habaki is not necessary unless you wish to do so.